Command Sgt. 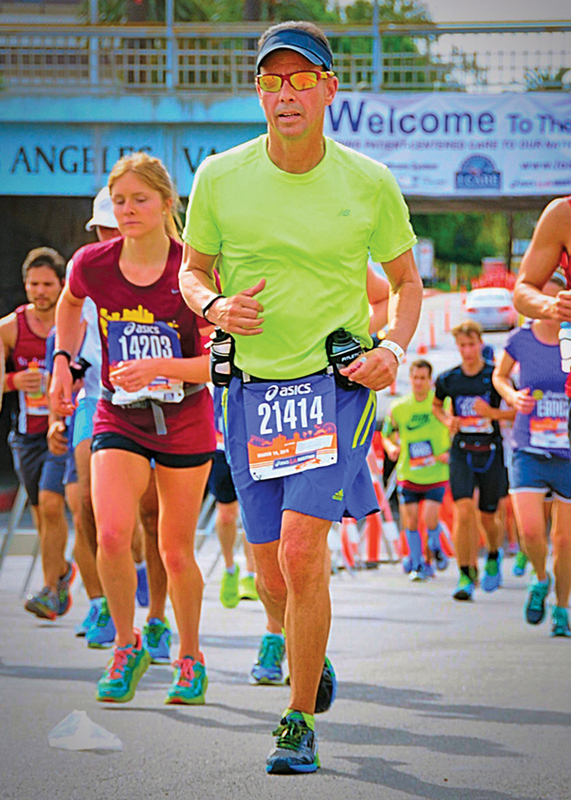 Maj. Raymond (Ray) Rodriguez, command sergeant major of 1916th Support Battalion here, runs the Los Angeles Marathon, March 15. He completed the 26.2-mile event in 4:16:20 hours. He concedes that not everyone can run a marathon, but there are smaller races, just as there are various steps in achieving goals in life. A lot of the times it’s about finishing, but finishing strong, he said. Sometimes it is hard to listen to the voice of reason, even one based on many years of experience. But when that experience is suited in an Army uniform, and has been the last 29 years, it should be easy to acknowledge. The Army thinks so, and that is why it fills battalion command sergeant major positions with Soldiers who have gained leadership experience through good times and hard times, through peace and war. One such Soldier is Command Sgt. Maj. Raymond Rodriguez of the 1916th Support Battalion, 916th Support Brigade, at the National Training Center. Having arrived here about 10 months ago to his first command sergeant major role, he believes in inspiring and being pragmatic with the Soldiers and non-commissioned officers in his unit. 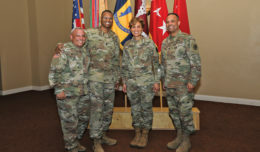 The battalion commander, Lt. Col. Marshanna Gipson, explained the role of Rodriguez as her advisor on all enlisted matters with the Desert Warriors, as the organization is known. “Command Sgt. 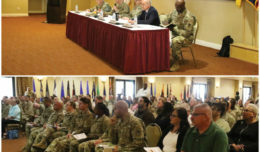 Maj. Rodriguez has the pulse of the unit and is uniquely able to assess if or when we need to re-shift our focus to ensure we are caring for our Soldiers and their Families,” Gipson said. Gipson stated that her right-hand man takes the unit’s vision and pushes the battalion towards that vision and mission success. The senior NCO described discussions with Soldiers who were considering leaving the Army when their expiration term of service approached. He asked them if they had a plan for life after the Army. Once dialogue was established, Soldiers articulated ideas and desires and were able to re-enlist and, in one case, re-classify to a different military occupational specialty. 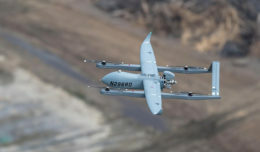 Rodriguez recognizes that at times he did not have a plan (before enlisting) or had fully developed a plan for career advancement (after having served for some years). Originally from Long Island, N.Y., he recited the oath of enlistment at 18 and came in as a human resources Soldier. He is still human resources, but don’t let his branch convince you he’s been clutching a desk all these years. And don’t let his tabs, assignments (13 years with Special Operations) and deployments make you think he’ll reveal details. You won’t get war stories out of him. Those distinctions only reinforce his character as that of a quiet professional. The trainings and schools he’s completed is a testament of his desire to look forward and accomplish goals, and now serve as an example to all Soldiers. He went through Ranger school, jumpmaster training, high altitude-low opening parachutist school, and Survival Evasion Resistance and Escape training. He took advantage of opportunities and doors that opened up, he said. Planning career progression is critical, Rodriguez said. He learned that lesson from an NCO who impressed on him that he needed to start mapping out his career. His driver, Spc. Giovany Aguirre, said his boss encourages him to attend military schools and work on civilian education. Rodriguez’s advice includes: have mental toughness, positive attitude, heart, and dedication in order to overcome the obstacles that may arise. Rodriguez applies his approach to success in the Army to marathon running. He recently completed the Los Angeles event with a time of 4:16:20 hours. He only started running 26.2-mile races a few years ago and has run nine. Again, planning and training is imperative. He concedes that not everyone can run a marathon, but there are smaller races, just as there are various steps in achieving goals in life. A lot of the times it’s about finishing, but finishing strong, he said. He stresses looking forward at the possibilities and not letting the past hinder growth. Gipson described her battle buddy’s running as an outlet from the challenges of being in a key leadership position and as a tactic for staying resilient.